The Instituto Superior de Engenharia de Lisboa (ISEL) is a Portuguese higher education polytechnic institution of engineering. Headquartered in Lisbon, it belongs to theInstituto Politécnico de Lisboa. Its origins backs to the creation of the Industrial Institute of Lisbon (Instituto Industrial de Lisboa) in 1852, which evolved to the IST – Instituto Superior Técnico (since 1911 a university engineering institution later incorporated into the Technical University of Lisbon). The Instituto Industrial de Lisboa was refounded in 1918 as a technical school of vocational education in order to train technicians for the industry, and remained as an industrial school of non-higher education until the 1970s. In 1974, the institute was upgraded to a higher education institute of technical engineering awarding short cycle degrees in a number of engineering-related fields. Before 1974 and the approval of decree Decreto-Lei 830/74 of 31 December 1974, this current polytechnic school, was not a higher education institution. It was an industrial school of vocational education until 1974, the Instituto Industrial de Lisboa. 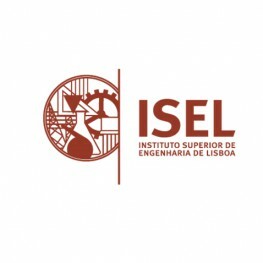 In 1988, ISEL was integrated into the Instituto Politécnico de Lisboa, a state-run confederation of polytechnic higher education schools based in Lisbon.